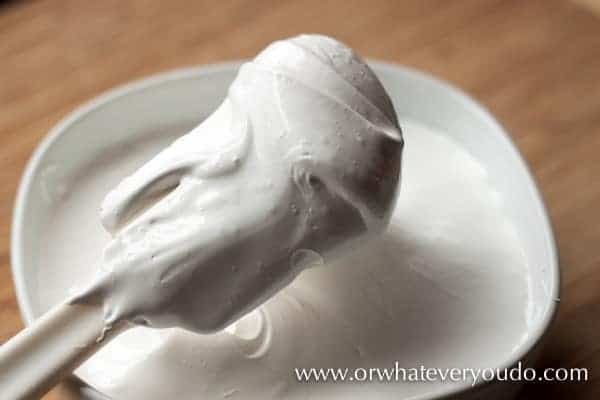 Homemade marshmallow fluff is super easy, and such a fun thing to make! You can use it in hot cocoa or in your favorite recipe that calls for marshmallow fluff. 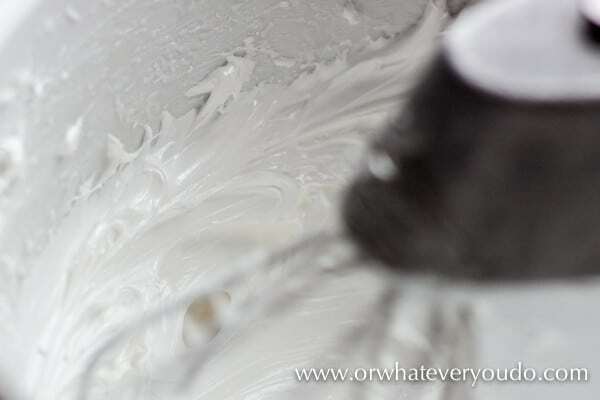 Homemade marshmallow fluff is an easy and delicious homemade treat. Make the ultimate cup of homemade hot cocoa and spoon a heaping helping of this fluff on top for a spectacular winter drink. Throw in some homemade coffee liqueur for good measure. Feeling in the mood for cupcakes? 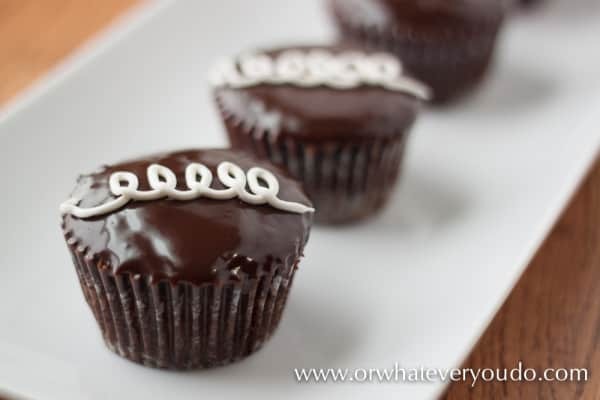 These Hostess Cupcakes feature marshmallow fluff in the filling, and it would be the perfect use for this sweet, homemade treat. Why make marshmallow fluff from scratch? Personally, when I have the time I really enjoy knowing I can make things from scratch that most people would just buy. It makes things easier when you run out or just forget something on your list. 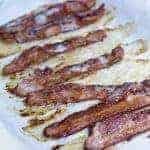 The end result of this recipe was wonderful. It was very comparable to commercially available marshmallow fluff. 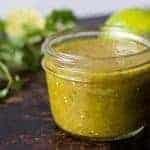 I wouldn’t hesitate to substitute this in any recipe that calls for it. 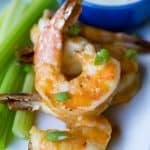 Will I make it EVERY time a recipe calls for it? There are some things that are ALWAYS better homemade. ALWAYS. 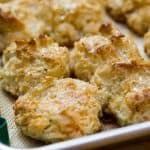 Those things being cookies. Pasta sauce. Jerky. There are others, feel free to shoot me yours in the comments! Some things are about equal to their counterparts. Some things you cannot duplicate exactly. This falls into the middle category, in my book. 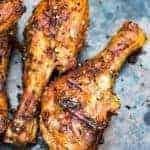 It is fun to make to know you can do it, will go nicely in a recipe or dessert, but not strictly necessary to make from scratch to ensure a quality end result to a recipe. Clear as mud? Okay then, let’s start. 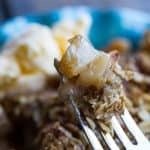 I googled and read and read and read and finally came across a recipe on CHOW from Shauna Sever. They classified this one as “easy”. I would classify it as medium because you need to use a candy thermometer and be fairly accurate reading it. 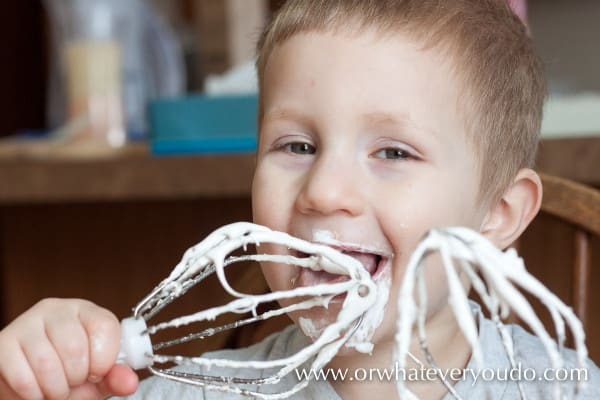 A stand mixer is also fairly helpful because it would be pretty tricky to hold a hand mixer, pour the sugar syrup, and keep the bowl steady. It is possible, but I imagine the potential for a messy disaster is fairly high! 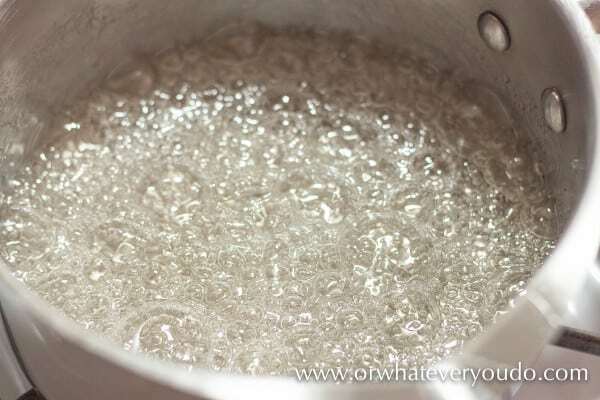 So start by mixing your water, sugar, salt, and corn syrup in a heavy bottomed saucepan over medium-high heat. Stir this occasionally and keep a close eye on it. While the sugar mixture is heating, whip up your egg whites and the cream of tartar until they form soft peaks. Pretty soon your sugar will start to boil. Start watching it really really closely, and get your candy thermometer in there. My clip got lost on my candy thermometer, so I got to hold it by hand! Yay! 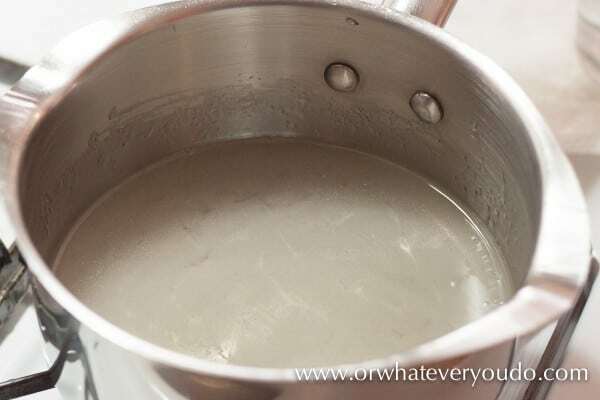 After it gets to 240°, SLOWLY drizzle about 2 TBSP worth of the syrup into your mixer while it is running on low speed. You are tempering the whipped egg whites here to make sure it doesn’t turn into a cooked, scrambled mess. After you have slowly done this, you can go a bit faster, but still keep it pretty slow and keep mixing until it is all combined. Kick your mixer up to medium speed and beat until stiff and glossy. Mix in the vanilla for about 2 minutes, or until it is fully combined. Scrape as much as you can into a bowl. Let any lucky passers-by lick your beaters. It is not fun. Use HOT HOT water and soak. I actually filled the pan I used to make the candy syrup with water and put it back on the stove to boil for a bit. Then after Caleb was done I dropped these beaters right into the simmering water. That helped a LOT. 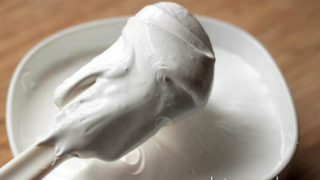 Marshmallow fluff made right in the comfort of your own home! 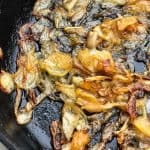 Great substitute for any recipe that calls for the jarred variety! 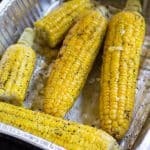 In a heavy bottomed sauce pan, bring your sugar, corn syrup, water, and salt to a boil. Heat this mixture, stirring occasionally, until it reaches 240, or soft-ball stage. While your sugar is heating, whip up your egg whites and cream of tartar into soft peaks. 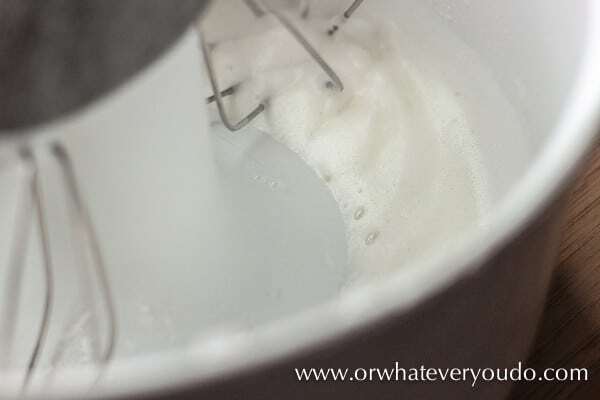 Turn off mixer when soft peaks are done and wait for sugar mixture to heat fully. When the sugar mixture has reached 240, remove from heat and slowly pour a couple of tablespoons of it into the mixer while it is running. You want to temper the egg whites so they warm up, but don't scramble. Once a few tablespoons have been mixed in you can start pouring a little faster, all while mixing. Beat until the mixture is stiff and glossy. Add in vanilla last, and mix until combined, or about 1-2 minutes. Serve immediately in hot chocolate, with peanut butter in a sandwich, or use in your favorite recipe that calls for marshmallow fluff/cream. 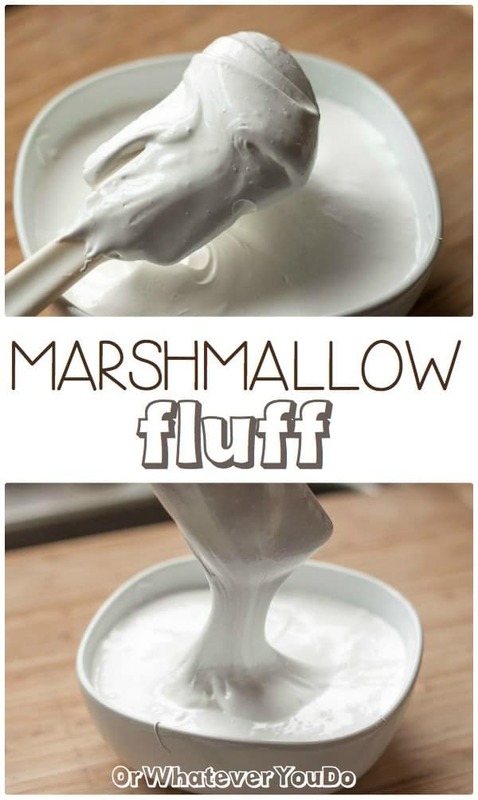 I love marshmallow creme, but I have never thought about making my own. 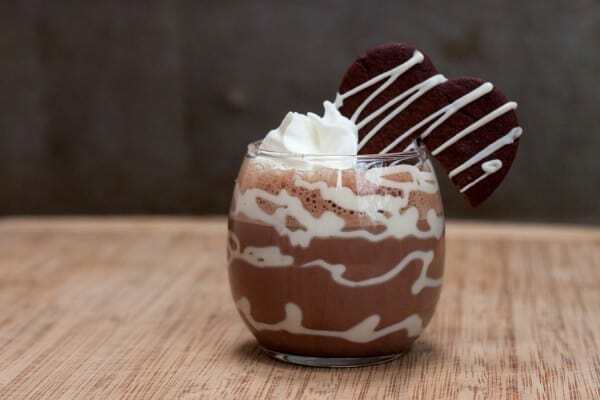 This looks seriously amazing. And I definitely need to try your hostess cupcakes too. Soon. Yum! Can this be made a day or 2 ahead of use?